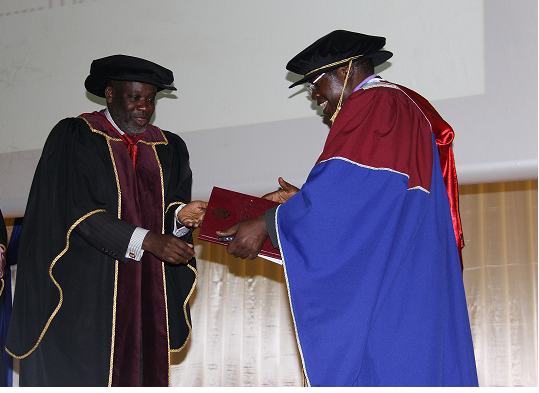 The newly appointed University of Malawi (UNIMA) Council this week, reached an agreement with academic members of staff who complained of a 40 percent salary disparity with other academic members of staff at the same grade within UNIMA. A single salary scale for academic members of staff, whose pay was lower than their colleagues at College of Medicine campus, it was resolved effective from July 1 2017, both parties agreed on at a meeting held at Kuchawe Inn on June 20, 2017. Speaking at a press conference held in Lilongwe UNIMA Council Chair, Dr James Maida said the meeting did not take into account the symbiotic relationship between the academic staff and support staff, as academic staff cannot discharge their duties without the services of the support staff and vice versa. “I was surprised to learn that the University of Malawi Workers Trade Union (UWTU), had written a letter on June 29, 2017 to UNIMA management giving the 21-day ultimatum to respond to their demands to have the support staff salaries adjusted by 40 percent and failing which union members would withdraw their labour” he explained. Maida stressed that the Council recognised that to foster the creation and maintenance of an environment of mutual trust and respect among Council, management and both staff and students’ unions, there needs to be the establishment of a structured dialogue mechanism that enables disputants to see no need for them to turn to court litigations, but rather seek amicable resolutions of disputes. “A salary adjustment of 25 per cent to be paid within the 12 month-period starting from July 1, 2017, starting with 13 percent immediately and the remaining 12 percent will be decided in January 2018, during the mid-year review, were among other things agreed upon after negotiations with the UWTU leadership,” the Chair pointed out. 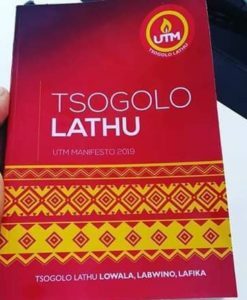 Maida added that the fact UWTU accepted 25 percent instead of the requested 40 percent, spoke volumes for their exemplary understanding and patriotism. University Finance Officer, Henry Chiwaya said their wage bill has gone up by 2.5 billion kwacha, moving from 17.3 billion kwacha to 20.4 billion kwacha, because Government had only made a provision of 10 percent salary increment, which was around K 1.7 billion. So there is a gap of K900 million regarding the amount that UNIMA is required to pay the new salaries. “Government has provided K23 billion and the University needs to generate K14.5 billion. He said the Government subversion we will pay about 90 percent and the balance will be paid from the own-generated level of income,” he said. Chiwaya added that it will try to meet the shortfall through innovative measures such as avoiding closures to ensure students attend classes and pay fees, consultancy fees, and rent out infrastructures during holiday periods. Meanwhile an independent taskforce has been established to oversee the delinking of the Polytechnic, College of Medicine and Kamuzu College of Nursing from UNIMA whilst Chancellor College continues operating as University of Malawi.